Lyra Music Faculty Artists perform chamber and solo selections as part of the Unitarian Society's Sunday Service. Lyra Music Workshop Students perform chamber and solo selections at the Kahn Liberal Arts Institute as part of their lunch time Porch Kahncerts series. The Faculty Artists of the Lyra Music Workshop, in residence with the Lyra Music Festival, present an intimate concert of chamber music. Lyra Music Workshop Students perform chamber and solo selections as part of the St. John's Episcopal Church Sunday Service. Lyra Music Workshop Faculty Artist and Junior Staff members will perform cello, violin and piano works at The Wellington at Springfield. Lyra Music Workshop students will perform chamber and solo works for strings and piano at Applewood Retirement Community. Hailed by The New York Times as “impressive, lithe, persuasive” and "The most compelling American group to come on the scene" by The New Yorker, The Horszowski Trio will perform a concert at the 2019 Lyra Music Festival. Lyra Music Workshop students will perform chamber and solo works for strings and piano at Lathrop Retirement Communities. Lyra Music Festival presents a Piano Masterclass with Guest Artist Fei Fei Dong. Masterclass performers are advanced students with the Lyra Music Workshop. 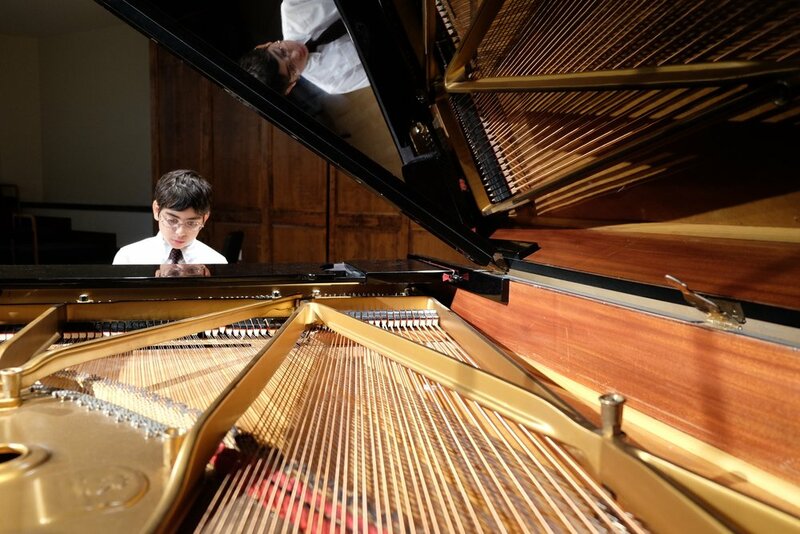 Winner of the Concert Artists Guild Competition, Fei-Fei was showcased prominently as a Cliburn finalist in the documentary film, Virtuosity, about the 2013 Cliburn Competition. Fei Fei performs a solo recital at the 2019 Lyra Music Festival. Internationally recognized solo artist, chamber musician and music educator, Astrid Schween, cellist of the Julliard String Quartet, will perform a recital at the 2019 Lyra Music Festival. Lyra Music Workshop students will perform chamber and solo works for strings and piano at the Loomis Village Retirement Community. Lyra Music Workshop Young Artist Students and Faculty join forces with Stamell Stringed Instruments to bring a concert and instrument petting zoo to the Eric Carle Museum of Picture Book Art. Lyra Music Workshop Faculty Artists and Junior Staff members will perform cello and piano works at The Wellington at Springfield. The Lyra Music Workshop Faculty, in residence with the Lyra Music Festival, presents an afternoon concert of chamber music. Lyra Music Festival presents a Piano Masterclass with Guest Artist Gilles Vonsattel. Masterclass performers are advanced students with the Lyra Music Workshop. Kristin Lee, violinist of the Chamber Music Society of Lincoln Center has been called "Simply spectacular" by the Advocate. A recipient of the 2015 Avery Fisher Career Grant and top prizewinner of the 2012 Walter W. Naumburg Competition, Kristin Lee will perform a recital with Young Steinway Artist, pianist Jeremy Jordan, at the 2018 Lyra Music Festival. Lyra Music Presents the 9th annual Lyra Music Festival -- July 2018! (PRIVATE EVENT) Lyra Summer Workshop Students will perform a concert for the community members of Loomis Village. The Lyra Music Workshop Faculty, in residence with the Lyra Music Festival, presents an afternoon concert featuring chamber and solo works by 19th and 20th century French Composers. Lyra Summer Music Workshop students will perform solo and chamber works for St. John's Episcopal Church's Sunday Service. Hailed by Gramophone Magazine as “exceptionally gifted” and “breathtaking," cellist Deborah Pae is captivating audiences with her “superb tone...high level of interpretative intelligence” (Transcentury Blog) and "sophisticated technique" (San Diego Story). Cello Masterclass with Guest Artist Deborah Pae. Masterclass performers participants of the Lyra Summer Music Workshop. 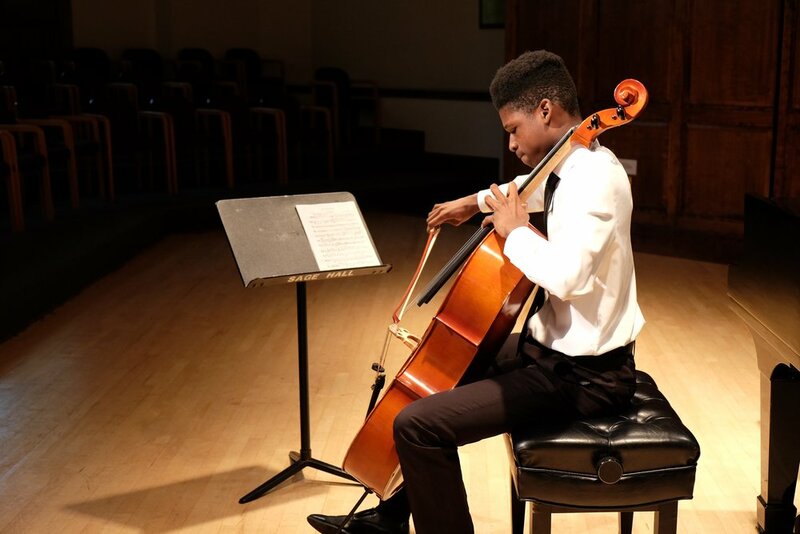 Lyra Summer Workshop students will perform chamber and solo works for string and piano instruments at Lathrop Retirement Communities. Lyra Summer Workshop students will perform chamber and solo works for string and piano instruments at Applewood Retirement Community. Piano Masterclass with Guest Artist Spencer Myer. Masterclass performers are participants of the Lyra Music Workshop.